Hair Transplant techniques have evolved drastically in the past few decades. These techniques range from FUT technique to the latest Robotic Hair Transplant (RbHT). In between these two there is plethora of hair transplant techniques. Hair Transplant surgeons or Trichologists have given various fancy names to these techniques which are a slight modification of FUT and FUE technique. Hair transplant techniques FUT and FUE which are the most common hair transplant techniques are compared in this article. The advantages and disadvantages of FUE and FUT techniques will be discussed in details. I expect that the readers have gone through the website and know the basics of both of these techniques. Cost of Hair Transplant: For many clients Cost of Hair Transplant Surgery is one of the most important deciding factors. FUE technique cost is almost 1.5 to 2 times that of the FUT technique. FUT is the most affordable hair transplant technique. Result of Hair Transplant: Equally important factor is the expected results of hair transplant surgery. Result of hair transplant depends on many variables which are same for both the techniques. The Most Important Factor Deciding the Result of Hair Transplant Surgery is the number of hair follicles transplanted. The more the number of hair follicles transplanted the better result of hair transplant. Without any doubt the number of hair follicles which can be harvested from the donor site is maximum in FUT technique. The number of hair follicles which can be harvested in FUT technique is almost two times the number of hair follicles which can be harvested in FUE technique. So FUT technique has advantage over FUE technique in this aspect. Long term results of Hair Transplant: In FUT technique of hair transplant, hair follicles are harvested from the area of scalp whose hair follicles are programmed to last till lifetime. 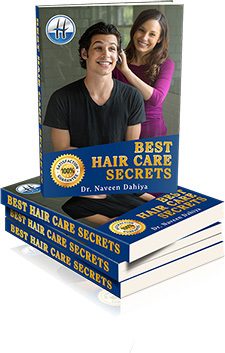 Whereas in FUT technique hair follicles have to be harvested from the areas of scalp whose hair follicles are not programmed to last for the lifetime. Some of these hair follicles are programmed to last for few more years specially it Hair Transplant done in 40s. Again FUT technique of Hair Transplant gives Better Results in the long run. Scar over the donor area: among both the Hair Transplant Technique Minimum/Least Scarring is with the FUE technique. The total area of scarring in FUE technique is about 30% less than that with FUT if same numbers of follicles are to be harvested. The advantage with FUE technique is that the scar is spread over a very large area and due to this the scarring is most of the times not visible. FUE technique of hair transplant is a clear winner in this aspect. Post Hair Transplant Care: In FUE technique almost no post operative care is required for the donor site. Post-operative care of the hair transplant site is same for both the FUT & FUE technique. In FUT technique there is care required for the donor site in the form of removal of the sutures after 10-14 days of Hair Transplant. FUE technique is better than FUT in post-operative care. Post Hair Transplant Complications: Post hair transplant complication rates are same in both FUT & FUE techniques. The rates of oozing and infection and other complications are same for both the techniques. So both the techniques are same in this aspect. Duration of Hair transplant surgery: among both the Hair transplant surgery if we calculate the time duration keeping the number of hair follicles constant then FUT technique is much faster and hence takes less time than the FUE technique. FUT technique is team work and hence if the team size is increased then the time needed decreases drastically. In fact one can finish FUT hair transplant in half the time required for FUE technique. FUT technique is better than FUE technique in terms of duration of hair transplant surgery. Patient Comfort during Hair Transplant Surgery: FUT technique of Hair Transplant is more comfortable for the patient. There are multiple reasons for it: less over all duration of hair transplant surgery, less duration of time patient has to be in prone position, less local anaesthesia requirements, less number of needle pricks for graft harvesting and less number of times patients head position needs to be changed. FUT technique of hair transplant is a clear winner in patient comfort. Hair Follicle Damage during Graft Harvesting: harvesting of hair follicle from the scalp is a blind process and surgeon’s skills are very important to prevent damage to hair follicle during harvesting the graft. Now we keep surgeon’s skill constant in both techniques of hair transplant and then compare both the techniques. In FUE technique the punch passes around/near every other hair follicle where as in FUT technique the blade passes around/near every 10th Hence Hair Follicle Transection Rate or Hair Follicle Wastage in FUE technique is 10 times more than that of the FUT technique. Best hair transplant technique is FUT technique in this regard. Donor site availability for Second Hair Transplant: An important factor to be considered is that the availability of donor site if second hair transplant surgery is needed to increase hair density. The FUE technique of hair transplant utilises almost the whole of the available donor site in the first hair transplant itself. There is no visible scarring in FUE technique but the whole of the donor site gets scarred after the first hair transplant. No donor site is available over the scalp after using FUE technique for the second hair transplant. If we see the complete picture of less follicle unit graft harvest by FUE technique and non-availability of donor site for second hair transplant then FUE technique is absolutely wrong choice beyond grade III alopecia. In FUT technique of hair transplant, the initial graft harvest is twice in number than that in the FUE technique and a large area of virgin donor site is still available for the second hair transplant. Therefore FUT technique is regarded as the gold standard and Best Hair Transplant Technique. Now based on the above mentioned parameters if we try to give score to FUE and FUT techniques then FUE will score 2.5/10 and FUT technique will score 7.5/10. For patient’s point of view FUT is the Best Hair Transplant Technique.